Rick Morrison’s approach to life can be summed up in one word: Service! Rick brings an air of integrity, authentic commitment as well as loving & mindful intention attention to all he does. Along with being a Realtor Rick is an author, wine consultant and is the guitar player in the band Funkschway. He is also a certified sommelier (and a pretty good cook, too!). Rick has enjoyed prior executive level careers in both the music industry and wine industry. However, none of the above matches the bliss he feels when parenting his 7-year-old daughter Shana. As author of his first children’s book entitled, The Hug Store, Rick widened his sphere of service to include families, children and fathers everywhere. The Hug Store was inspired by a true event that happened to his daughter Shana. It's a beautiful story of self-discovery that illustrates how life's greatest gifts can never be bought, and are instead, always found deep within us. In addition, Rick is the Founder of The Hug Alliance, a unified group of like-minded collaborators who are utilizing HUGS & SEL (Social Emotional Learning) to create more tolerance, inclusivity and connection in communities worldwide. Rick is also the CEO/Founder of HUG THE MOMENT, a recently launched 501(c)(3). Rick recently produced the Huggies Sponsored 2018 National Hugging Day Celebration January 21, 2018 which was featured in all mainstream media. 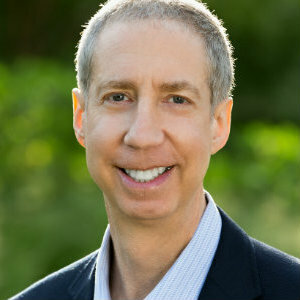 In addition to blogging, public speaking and facilitating a hugging curriculum in and around the Los Angeles area, Rick has appeared on a variety of talk, radio and TV shows to promote his vision of conscious parenting and ultimately promoting world peace…one hug at a time! Besides food, wine, hugs and music, Rick’s other passions include fitness and overall wellbeing. Rick enjoys charity work and giving back to community. Some other charities that are particularly important to him are Cystic Fibrosis, Muscular Dystrophy, Cancer, Meals on Wheels and Macular Degeneration.